Robots that make boring household chores a thing of the past are still a way off according to German household brand Bosch. The appliance manufacturers admit that robotics has long been on their research and development agenda but are clear that there's still a long way to go before they uncover the effective and affordable ways to bring more automation to the home. "We have been working on robotics for years now." 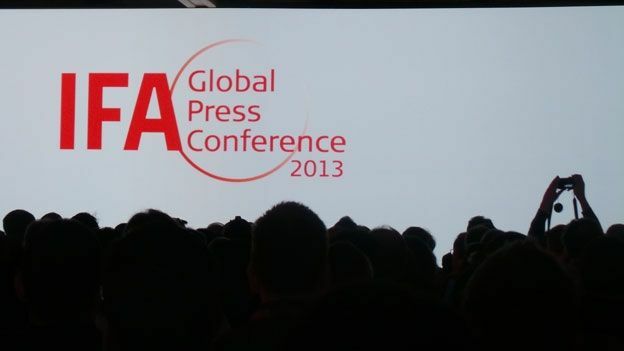 said Dr. Claudia Happ, Project Leader for BSH Smart Home, speaking at the IFA Global Press Conference 2013 in Sardinia. "For example, looking at how you can move clothes from the washing machine to the dryer automatically. But there are not so many applications for robotics yet in the home and it's also a matter of cost. So we're still on the lookout for clever solutions." In the past five years we've seen a huge growth in the availability of smart appliances and the rise of the connected home continues to be a big trend for the major home appliance brands. Bosch also announded a new myBosch app for smartphones and tablets that lets users scan clothing labels and sends that info directly to the washing machine to help select the right programme and washing cycle for that garment. Robotic vacuum cleaners, increased automation in cooking and even wardrobes that steam clean and 'iron' clothes have all been launched at recent IFA Conferences but we're still waiting for the science fiction fantasy of the robot butler to become a reality and the majority of jobs in the home still rely on human intervention. We'll be sure to let you know if Bosch comes up with the answer or Asimo develops dusting skills.